The holidays aren’t so happy for us all. The idea that giving is receiving, and that we find our joy by giving can make us feel worse if we have very little to give. I have been there, more than once. In college it’s supposed to be acceptable, but in my senior year I was also facing my mother’s re-marriage and responsibilities of being maid of honor which I knew little about. My brother also was married on New Year’s Day. That year I wanted so much to give them something special, but had only my talent to contribute. I wrote illustrated poems for my family. I realize that in some families the sentiment would have been appreciated, if not at least considered adequate. I was not reassured, especially with a new almost-sister-in-law. My mom and dad, however, still have those on display in their homes. Then after I was laid off in August of 2002 and still had not landed by Christmas (and in fact spent another 6 months unemployed after that) I was living on a meager unemployment check that didn’t even cover my student loan payments. I had no savings. I had no budget for Christmas. I used one of my unemployment checks to subscribe to Ancestry.com and did thorough genealogical research on both my mom’s and my dad’s family. I found out a LOT that none of us knew before (like we’re Swiss!) I took the portion of another check and went to my local craft store and dollar store where I bought picture frames for a one-page family report I compiled on each side, and artful things I could color/frame for my boyfriend (at the time/now husband) who was supporting me financially. Two of those pictures now hang in our daughters’ room. I felt bad giving so little at the time, even though I put a lot of time into those, because he had been giving me so much. I didn’t even appreciate my own gifts to him until years later when I realized that he had envisioned them there all along. One of my best friends was having a baby during this time of unemployment. She asked me to make her a playlist for each stage of labor. She wound up not listening to each of them for her first (he came quickly) but she did listen to them all for her second. Then nearly 10 years later I listened to the same playlists during my births. That wound up being another gift that blessed me back. Look, gifts aren’t always appreciated the way we want, and that’s true whether you spend $10 or $1,000. Focus on putting thought and heart into your gifts, and find peace in your own gesture. 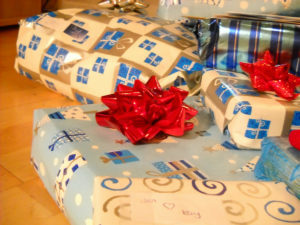 Here are five ideas of ways you can give this holiday season if you don’t necessarily have the budget you want. Volunteer – I know you have heard this before, and that is because it is really one of the best ways to remember how valuable you can be for others, and at the same time helping others less fortunate than you will remind you of your own blessings. 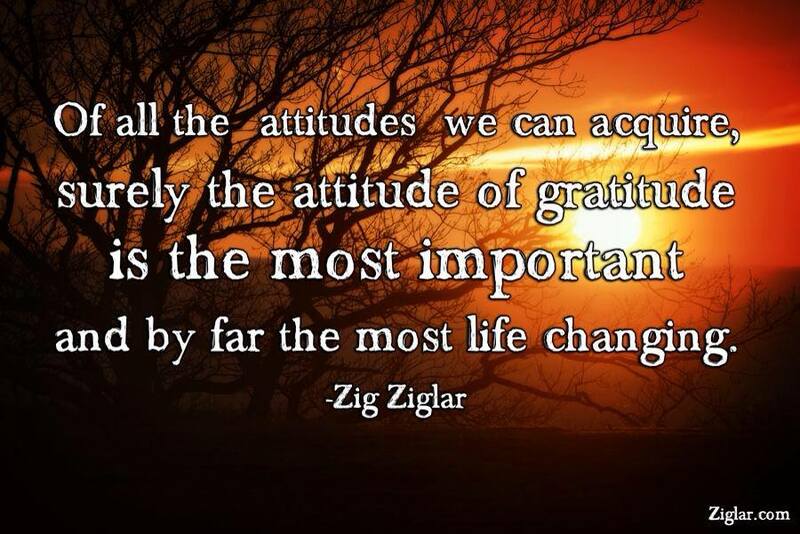 Gratitude is a powerful emotion, and will give you the energy to move forward and make greater efforts for yourself. Volunteering may not give you enough material wealth to give the people in your life presents, but it will make you a more uplifting person to be around. If you can’t give them something material, give them something they can feel. Upcycle – Make what’s old new again. Hometalk.com has a ton of ideas for taking things you might have around your house or obtainable from your local restore or thrift shop and turning them into masterpieces worthy of giving. Photo albums – Memories are priceless! Yes, we have become very accustomed to looking at pictures digitally, but let’s not underestimate the power of that physical photo album that you can open and look at with others to remember and honor how these people made your life so special. The new “mixed tape” – Make playlists on Pandora, iTunes, or even YouTube. Does someone have a road trip coming up? Do they do a lot of cleaning or project work? Do they love to run? A great playlist can be an awesome companion, and they’ll think of you every time they listen. Keep the other person’s musical tastes in mind; don’t impose your tastes upon them. Make it something that expresses how well you know them. Pick songs that have messages they will find meaningful. Coupons for services/experiences – Time is one of the most precious, finite resources on the planet. The thing I have found about these coupons, however, is that if you fail to deliver, you feel worse, not better. So give the coupons with an expiration date and specific days/times that you are available to deliver. Remember couth, too. For instance, if someone has a messy office, offering to clean and organize it for them may make them more self-conscious. Unless they specifically mentioned that this messy office is a problem for them and they WANT help, don’t be that specific. You could offer handyman services, babysitting services, or contribute a talent. Perhaps there is something you know how to do that the other person would like to learn. There are so many possibilities with this. Something else that can help ease the pain of not having enough to give, devise a plan to improve your situation where YOU are the determining factor of success, not a plan in which you have to rely on someone else to give you an opportunity. Having a greater sense of possibility and control does wonders for your spirit. That is an area in which we can help – reach out for a free consultation. While the feelings associated with not being able to give what you want to give can bring you down, we can also learn for ourselves a new value of gifts. If you have always been able to give materially before now, this new experience can provide unexpected blessings to your life. If you have struggled during this time before, hopefully you can use one of the above ideas to have a new experience of gift giving. We are not our bank accounts. Our value is not dependent on our wealth. We are valuable just as we are, and part of the joy of this life is exploring all the ways that we can create value for others. Whether you have a lot or a little to give, may you feel blessed and be a blessing to others. From “Afterglow Live”. Buy the DVD!